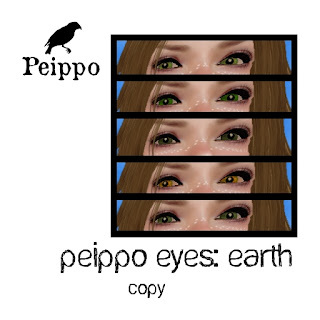 Peippo Eyes: Earth, for the upcoming Keep It Green Hunt, June 3rd-30th, 2012. The hunt, by Option Hunts, is held to raise awareness of the Keep It Green Fund Drive. Most hunt locations will have a donation kiosk for the fund, as does ours. Keep the kiosk for information about the cause and consider donating, if you can. The starting point will be here.